This instructional book for professionals presents readers with varying techniques, exercises, and theories to practice—a vocational foundation guaranteed to elevate an actor’s game. In an ingenious and instructive way, Beeson relates voice work to the greatest dramatist of all times, William Shakespeare. This is an added bonus for the classically inclined individual and provides excellent training for every actor. This intellectually informed book is designed to improve your voice skills and teach you the basics of the business—the ultimate preparation for any serious actor seeking to pursue this field. 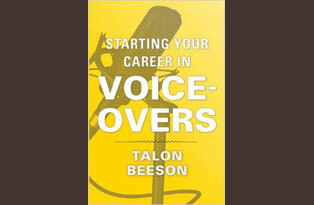 Surrounded by microphones, voice-over actors are a unique breed who require additional and different skills to create their reality, and Talon Beeson shows you how to do just that in Starting Your Career in Voice-Overs. 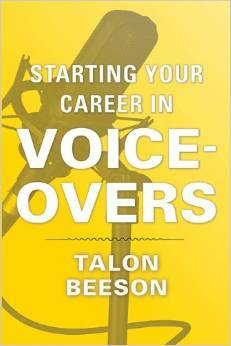 About the Author: Talon Beeson is an actor, director, and teacher. Talon received his BFA in Musical Theatre from Shenandoah Conservatory and his MFA in Acting from DePaul University. After years on stage, he started working in voice-over in 2000 and has been heard in many commercials including DeVry, Johnsonville, Kingsford, and many others. He just finished a two year run as the narrator of the hit series "Divorce Court," is currently the voice director for the hit HGTV show "You Live in What?," and his voice can be heard in the games "GTA V" and "Call of Duty: Advanced Warfare." He teaches privately, at the VO Academy, and at the SAG Conservatory and currently lives in Los Angeles with his wife and daughter.